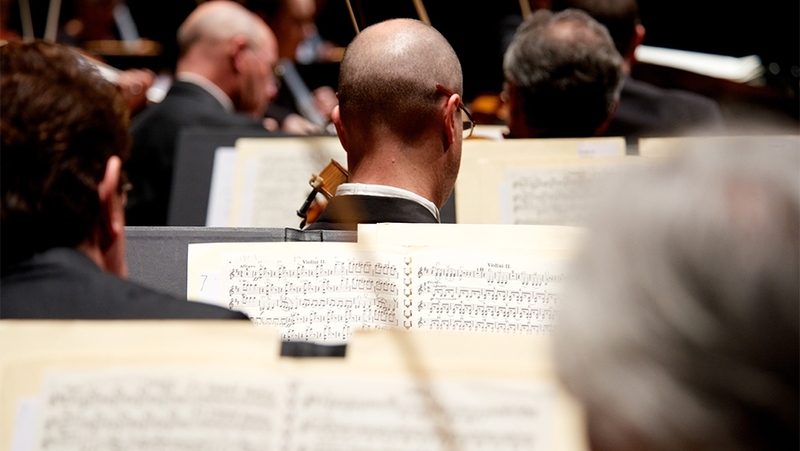 Each year, the MSO receives a number of applications from budding composers who want the opportunity to compose a new and innovative work for orchestral ensemble, with mentoring from a leading Australian composer and key members of the MSO, as part of MSO’s Cybec 21st Century Composers Program. In 2015, four participants were selected to take part in the Program, and for the first time, the composers had to create their compositions with a theme in mind – Cities and City Life. On Wednesday 10 February, the MSO conducted by Benjamin Northey, will perform the world premiere of Michael Bakrnčev’s Sky Jammer, Samuel Smith’s interior cities, Alex Turley’s City of Ghosts and Sally Greenaway’s Worlds Within Worlds in a free performance at Iwaki Auditorium. Find out more about each of the composers and what their inspiration was when creating their works. Guitar, Clarinet and the Kaval, a Macedonian end-blown wooden flute. My nephew Archie, who has just turned three, makes me laugh every time I see him. A thing called Honest Trailers on YouTube – hilarious! I love comedies, and lately I’ve been watching Brooklyn 99 starring Andy Samberg – it’s a riot. But the funniest person I know is my younger brother Will, and nobody can have me in stitches like him. Thanks, bro! What inspiration did you draw on when composing your work, knowing that it had to be themed around cities? The initial inspiration came from watching Netflix’s Daredevil series. I loved this dark take on a modern superhero, Matthew Murdock who, despite losing his sight because of exposure to radioactivity, develops other super-sensory perceptions. This got me thinking about Melbourne and how we have this underground culture – quite literally, in fact. Take the case of ‘The Cave Clan’ – a group of Melburnians who gather together to explore the city’s old sewage systems. Because I work in the building industry, I have read much about current trends in building design, architecture and real estate development, along with reports on population growth. Melbourne’s population is growing rapidly, and is set to overtake Sydney’s soon, with an estimated 7 million people by 2056. I started to wonder what this would mean for me, my kids, and grandkids. What sort of a place will Melbourne be? What about infrastructure? Pollution? What role will technology play in residential building? From all this, I felt inspired to create a neo-noir opera or musical based on a dystopian Melbourne. The original working title was “Burke”, after John O’Hara Burke (he of the ill-fated Burke & Wills expedition). But how to turn this into music? After discussing it with my teacher, Elliott Gyger, he suggested I consider changing the title and watching more films in the genre of “Daredevil”, titles such as “Blade Runner”. That was the best homework assignment I’ve ever had! I followed his instruction, thought further about many things, and the result was Sky Jammer. For decades we have called them, sentimentally, “skyscrapers”. The title of this work – Sky Jammer – reflects on my own attitude towards the massive structures that dominate our cities. They block our view of the sky, pollute the air and water, and cast shadows on our streets – and in our hearts! In my work I often shy away from the literal in favour of the vague and abstract. In this case, rather than presenting something programmatic, I chose to explore the idea of the ‘interior city’ as a kind of homage to the rich inner lives of the city’s inhabitants. I was also interested in the spatial arrangement of the orchestra as an analogue for the city’s geography. The ensemble is divided into discrete interior and exterior groups and as the music develops, lines are traced among the orchestra, mirroring what I think of as the arterial networks of the city. I was also informed by the visions of a fantastic urban found in the work of Italo Calvino and Jeannette Winterson. I bake sourdough bread. I love everything about it, from the kneading, the slow proofing process, the delicious end result and taking care of the starter culture – it’s like having billions of little friends in the fridge. I also love being in the bush. My family, partner and I are all very keen bushwalkers. Probably really good quality bread, or good pasta, or good pizza – I think I’m probably gluten’s number one fan. One of the things that struck me most when considering this theme was the idea of cities as sprawling, messy, dense labyrinths, and that is an idea that stuck with me through the compositional process and very much informed the texture of the piece. I’ve ended up creating more of an atmospheric work than one driven by any sort of narrative. For me, the work evokes the impression of a deserted city, clouded by fog and rain. There is movement in the shadows, just out of reach; bursts of colour and light bleed through the mists. As the piece unfolds, we travel through the labyrinthine structures of the city, encountering echoes and ghostly memories. This is just an idea of some of the images running through my head as I was writing the piece. What’s on your summer playlist right now? Top of my list is obviously Adele, but I’ve also been listening to a lot of Nigel Butterley, Kaija Saariaho, David Bowie, Takemitsu, Lutosławski, Ligeti, John Williams, Nico Muhly, Sufjan Stevens, Flume, Szymon, Kucka, Tame Impala, Troye Sivan, Oh Wonder, St Lucia, Lior, Rufus… the list goes on. I am definitely a bit of a foodie and have always been a sucker for amazing sourdough breads. I discovered a delicious fruit and nut loaf recently at the Sourdough Kitchen & Bakery in Seddon on a recent trip to Melbourne. Definitely recommended! Worlds within worlds is inspired by two artistic installations. Firstly, Spontaneous City in the Tree of Heaven, which features hundreds of small bespoke birdhouses nestled in amongst the trees of London’s CBD parklands. It is reminiscent of the sprawling reach of humanity (residents living stacked up amongst one-another). The second inspiration came from Canberra artist Paul Summerfield’s work Chaos at the Sky Regatta, which was commissioned for the Canberra Hospital’s adolescents ward. It is a wall mural featuring a jovial scene that brings to life whimsical imaginary flying objects above a wonderfully obtuse cityscape. From these two points of inspiration, I created a piece that depicts a bustling cityscape: a study into perspectives around a melodious metropolis. The imaginary city’s continuous construction, marching towards the clouds, is referenced by relentless but optimistic driving rhythms and ostinato undercurrents symbolising the hustle of the city streets. Black Books (featuring Dylan Moran, Bill Bailey and Tamsin Greig) always entertains, and I’m a big fan of The IT Crowd (it’s so accurate, it’s scary! ).